Now that the ‘dust’ has finally settled on my recent concrete painting and polishing, I thought I would take the time to write a review of my experience with “Pauls”. For me, first impressions are always telling. My first meet with Rod was very pleasant, thorough and upfront as to the costs involved, what to expect with grinding the concrete, possible imperfections, etc. After giving the Ok, a POD was quickly delivered to my driveway for my ‘stuff’ that wouldn’t fit in the garage. The demo crew arrived timely, took a lot of TLC with my furniture, no unnecessary delays. Then the grinding began, loud and dusty, as expected. I learned a lot about concrete while I spied on everyone from upstairs. Ultimately, we survived the dust, dirt, taped up cupboards, etc, and so did the dogs and cats. Did I mention how ‘convenient it was to have the refrigerator in the garage? The finishing went surprisingly quick, even with my Iast minute color change. I am extremely pleased with the result, the workmanship, and everyone who was here everyday making sure I was happy. 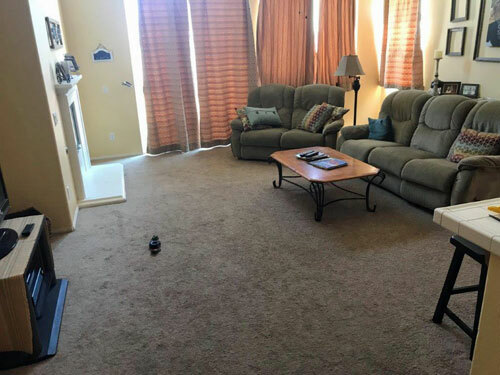 Thank you to all the “demo” team and to Rod (who started all this), Todd (thank you for cleaning my remaining carpet) and David (who always stopped his work to let me escape) who were here everyday putting up with my questions, my spying and my animals. Debbie thank you for being the ‘go to’ person in the office and for stopping by to check on things!! Thank you all SO MUCH, I love the finished product! Cathy was sick of her carpet in her house and had already been researching concrete polishing on her own. 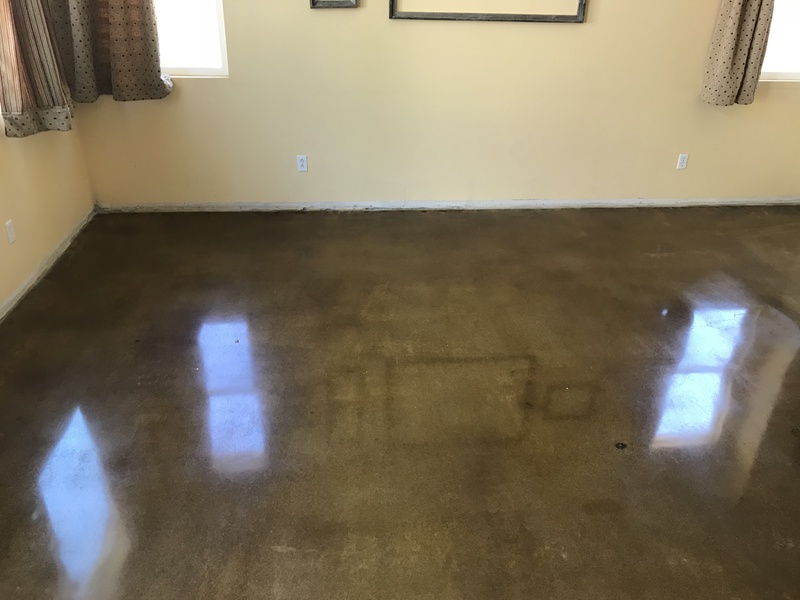 She reached out to us after hearing through mutual friends we polish concrete floors. 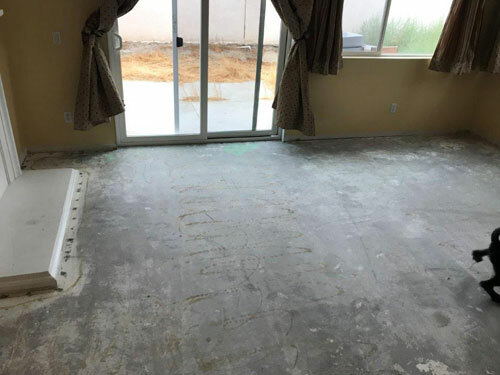 She knew she didn’t want to install new flooring she liked the idea of using her own homes sub floor. She was very excited to pick and choose the new color of her floor. Observing us work from above Cathy was living upstairs while we took over her first floor polishing the downstairs concrete.